This month is sure to keep you and your wallet busy with all these wonderful sales. To kick things off D.L & Co sample sale returns to the city along with newcomer, Maiyet. Gilt City warehouse sale will keep you occupied this weekend while next week will be one super busy Tuesday. You’ll have to decide between Oscar de la Renta, Elizabeth & James, Yigal Azrouël and Elie Tahari. Oh my! Happy shopping and as always keep an eye on Twitter and Instagram for all the latest news and updates! Save up to 70% off on fine Italian-woven luxury linens from Sferra. Expect to find bed linens, duvet covers, blankets, matelassé sets, throws, decorative pillows, towels, bath rugs, down, table linens, baby gifts, and more. No strollers or children under 12. UPDATE: Extra 75% off gowns/jewelry, 50% off dresses/accessories. 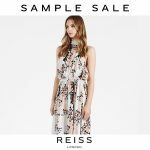 Save up to 90% off on gently used designer apparel and accessories at Rent The Runway semi-annual sample sale. Expect to find brands like Rebecca Minkoff, Theia, Nicole Miller, Halston Heritage, Badgley Mischka, Jay Godfrey, and many more. More info here. Save on current and archival styles at Nanette Lepore‘s Spring sample sale. Samples are only $30 while current season merchandise is priced $75-$250, past season $50-$75, accessories $5-$15. Please read my report from last year’s sale for more info. Save up to 80% off on Rafe New York signature minaudieres, clutches, and handbags. Receive a complementary brow shaping with your purchase. 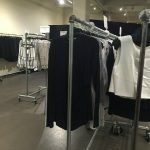 Please read my report from the brand’s last sample sale for more details. After leaving their NYC showroom over a year ago, D.L. & Co makes a much welcome return to the city at a brand new venue, 260 Sample Sale’s new SoHo location. 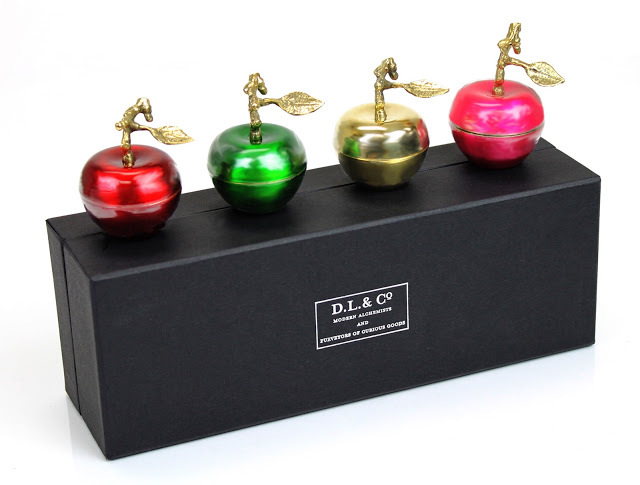 Expect to save up to 70% off on the brand’s signature candles like Skull and La Petite Pomme. Maiyet is also joining the party with their first ever sample sale and saving of up to 80% off on women’s apparel and accessories. Thakoon‘s spring sample sale returns with prices ranging from $29-$229. Expect to find dresses, gowns, tops, pants, skirts, jumpsuits, sandals, boots, sweaters, jackets, and original samples from the 2016 collections. The organizers invited me to attend a special private portion of the sale on Thursday, April 7th. The best part is that you guys are also invited! Just RSVP at the above link and I’m told that walk-ins will also be accepted. Must have ID for building entry. UPDATE: Additional markdowns on select merchandise. Shop exquisite knitwear from the luxury Italian label. Loro Piana sample sale will offer modest savings on cashmere, knits, outerwear, accessories and apparel for women, men, and kids. There will also be bolts of cashmere and wool fabrics. Prices at this sale tend to be rather high and often times more expensive than shopping at the brand’s own outlets. Please read my report from last year for all the details. No strollers or children under 12. UPDATE: Extra 20% off (excludes jewelry/bags). Clear your schedule for the hotly anticipated Oscar de la Renta sample sale. A new and much welcome addition to 260 Sample Sale’s roster, the sale will offer savings on furs, ready to wear, bridal, gowns, and shoes. I do not yet have details on pricing but I can almost guarantee you that it’ll be far better than the previous sales at Soiffer. UPDATE: Extra 50% off (apparel only, excludes samples). The always popular sample sale from the Olsen twins’ contemporary line will offer great savings on apparel, jewelry, and eyewear. But of course any fashionista who has previously attended Elizabeth and James sales knows that true samples are the best deal! Usually priced $25-$100 you’ll want to hit the samples rack first. Please read my report from last year for more details. UPDATE: Extra 20% off for up to 85% off retail. Elie Tahari warehouse sale will offer savings of up to 70% off on apparel and accessories for women and men. Please read my report from last year’s sale as well as last month’s sample sale at C21 Edition for more info and details. As if your Tuesday wasn’t busy enough there’s another worthy sample sale to check out today. Yigal Azrouël Spring sale will offer savings of up to 80% off on apparel and accessories from designer’s eponymous label as well as Cut25. Original samples will offer the best bargains. Please read my report from last year for more info. Save up to 75% off on Botkier handbags at the brand’s Spring sample sale. As an added bonus those who attend a special preview Tuesday (it’s free no RSVP needed) evening will get a chance to meet the designer herself, Monica Botkier, and enjoy complementary drinks and snacks. Save up to 65% off at John Hardy’s semi-annual sample sale featuring luxury fine jewelry for women and men. Expect to find 18K gold, gold, sterling silver, sterling silver with gemstones, and diamond pave pieces for ladies. Gentlemen will find sterling silver and leather jewelry and accessories. There should be some incremental additional discounts as the sale progresses to bring the savings up to 75% off retail on the last day. Save up to 70% off on women’s cashmere apparel and accessories from White & Warren. Stock prices range from $50-$200 but for the best bargains head to the samples section where knits are usually $35. Save 40% off retail on cult fitness apparel and accessories from Soulcycle. Expect to find limited edition and discontinued items and of course the signature skull branded gear. In previous years additional discounts happened during the last few days of the sale. The British label is set to hold their first ever sample sale at 260’s flagship location. Expect to save up to 75% off on women’s and men’s apparel and accessories. Save up to 75% off on home fragrances, scented candles, and luxurious bath and body products from Nest. Taking place inside the company’s corporate offices the sale is likely to offer steeper savings than their past winter sample sale. Save up to 80% off retail at L.K. Bennett Spring sample sale. Expect to find shoes, ready to wear, and accessories. Click here to make an appointment. CP Fashion Group hosts the semi-annual Spring sample sale from Vivienne Westwood. Save on apparel, shoes, handbags, wallets, scarves, and other accessories for women and men. The sale will feature new stock merchandise as well as past season samples. If you’ve previously shopped their sample sales you’ll know that there’s usually several racks of 90% off merchandise. Please read my report from last year for more details. 260 Sample Sale welcomes Bloch for their first ever sample sale at the venue. Expect to find major savings on their famous dancing shoes for women, men, and kids. Like ballet, tap, jazz, ballroom, lyrical, as well as sneakers and much more. Scoop Warehouse sale returns to 260 Sample Sale but this time the event will take place at the new SoHo location. Save 75% off on apparel, footwear, and accessories for women and men. Expect savings to hit 85%-90% off during the last two days. Scoop branded merchandise in denim are your best bets for $20 and under finds. For luxury designer finds like Missoni, Mary Katrantzou, 3.1 Phillip Lim, etc. it’s best to shop early.